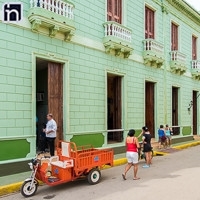 If you are looking for convenient accommodation which embodies the charm of Remedios, one of Cuba’s oldest towns, you should consider Hotel Encanto Barcelona. Barcelona reopened in 2012 & is located just off the central square, so perfectly placed for local attractions & walks through streets steeped in 17th century colonial architecture. 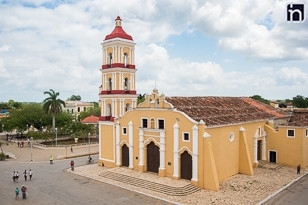 The hotel is also a great place to enjoy the town’s colourful festivals, particularly the Christmas Las Parrandas de Remedios. 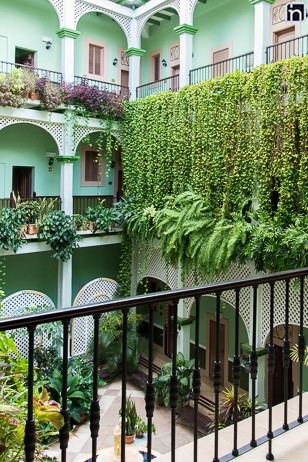 Built in classic colonial style around an attractive central courtyard, Barcelona hotel effuses charm from its fixtures right through to its friendly staff. Despite the recent modernisation, the hotel retains original vintage features including stained glass windows in the reception & dining areas. Barcelona’s restaurant serves a good variety of food & guests can also enjoy great cocktails at the bar. 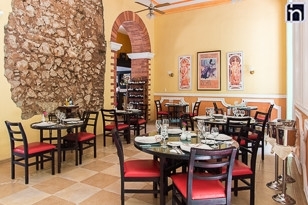 And with local dance groups performing each night, you can learn to salsa with the experts. 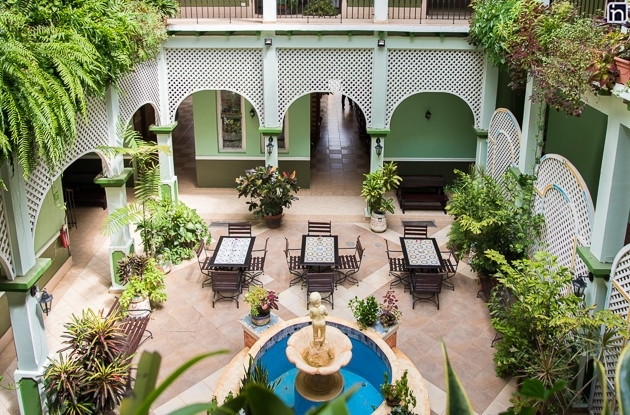 If you are looking for a short stay in charming, undiscovered Cuba, you will find Hotel Encanto Barcelona a great choice. Barcelona has 18 ensuite rooms with double or twin beds. 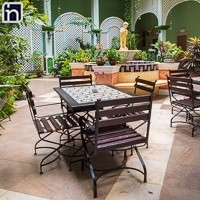 The rooms are large & relatively basic but have charming vintage fittings & classic shuttered windows, giving a real sense of the town’s colonial past. 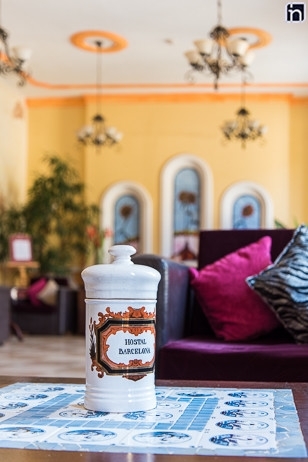 Barcelona’s rooms are kept spotlessly clean & have air-conditioning, mini-bar & satellite TV. Some rooms have balconies & great views, though ground floor rooms may only have one window. This hotel has no lift so visitors with limited mobility should seek ground floor accommodation. In addition to the facilities in the standard rooms, Junior Suites are much more spacious & have an additional lounge.